In case you don’t know it already, with the excuse of the terrorists attack in Paris the European Commission scheduled a revision of the Firearms Directive 91/477/EEC. The European Commission said it is for our safety as the new heavy restrictions they are imposing to all European Citizens on acquisition, ownership and use of firearms, deactivated firearms, blank firing guns and… replicas (YES, Air Soft guns will fall in this category and will be restricted too) are said to be taken to reduce the possibility terrorists have access to legal firearms to convert them, as well as airguns and Air Soft guns, in full auto weapons (they said restrictions and measures will be taken to prevent airguns could be converted into something more dangerous). They know well terrorists do not use legal purchased guns or toy-guns but full auto weapons of war (which are already illegal in Europe to own) smuggled from war theatres. So, their intention is clearly to use the terrorist acts as an excuse to legitimate their action to take away guns and gun replicas from citizens and to reduce their rights. In particular their intention is to ban the firearms falling into category B7 (semi automatic guns with the appearance of full automatic guns, like the civilian M4, AK, etc. which are largely used for sports and hunting). Their declared intention is to confiscate them to legal owners without compensation (like in a regime). Beware that this is made with the criteria of the appearance, a gun will be illegal to own because too similar in the appearance to a military gun. Think about this, our Air Soft guns what look alike? In the bureaucrats mind there is no difference between a live firearm and an Air Soft gun, so we can expect any kind of restrictions coming soon after. For what concern Air Soft guns, if the amendment of 91/477/EEC pass, they will fall into the Category C (weapons subject to registration), this means that owners will need to register their airsoft guns with Police, fireams ownership permit will be necessary to buy an Air Soft gun, limits to the quantity owned and to the use will be imposed. Very likely we will say goodbye to the full auto shooting mode. Internet sales will be prohibited. Only Government approved Air Soft guns will be legal. KEEP IN MIND THAT REGISTRATION IS PRECURSOR TO A BAN AND CONFISCATION. Look at what is happening to military looking firearms: 1st step: they put them into a category (B7), 2ndstep: they now ban B7 firearms and they will confiscate and destroy them. AIR SOFT GUNS WILL BE THE NEXT! Send your comments to the European Commission and tell them why you do not agree with the proposal. Say it with your own words, do not copy and past comments as duplicates will be disregarded. Send your comment and tell all your friends, teammates and family members to do the same. We must show them we are a lot of people and that we are united. Your action is required, do it and do it now. 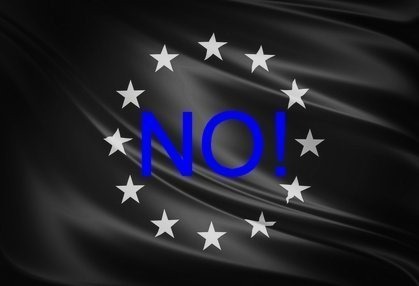 Sign the petition, send your comments to the European Commission, inform all your friends, teammates and family members of what is happening, and make them sign, comment and forward the information to others. Forward the information and the links on all social networks you use. Use #airsoftineurope to support this campaign!